Expand your BBQ repertoire with the versatility of a wok burner. 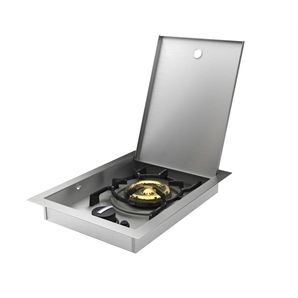 Dual ring burners provide the higher heat levels perfect for stir-fry's. You can be rest assured that this Matador is covered for 5 years by a comprehensive warranty including parts, labour, repair or replacement. The only things it doesn’t cover are surface rust and any damage caused by abuse and neglect. With some simple care, you’ll enjoy cooking on your Matador for years to come.